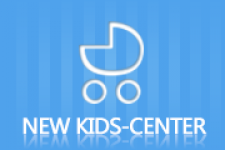 Looking for fun and safe activities that you can do with your baby? Check out our top 12 fun things to do with a baby. Pick one and enjoy your bonding time! Picnics can be the perfect meal option to get away from the grind of daily life. 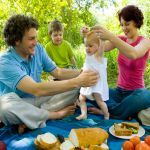 Try out these picnic foods for kids, and hope they can also inspire you with daily cooking. Great face painting ideas can bring the costumes to a whole new level. 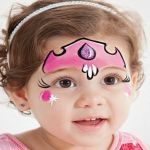 Here we selected 10 fabulous face painting ideas for young kids. Pick any and let the fun begin! Math apps are effective ways to practice foundational math skills in kids. 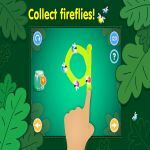 Here we selected 8 exciting ones out of all the best math apps for kids. Find out which one is their favorite. Reading to young children is an intellectual choice. 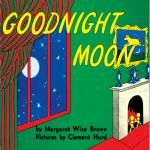 We have some of the best children's books that are highly recommended by teachers and parents.They are all classic ones and best sellers of all time. 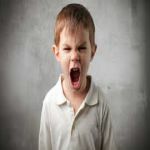 Knowing proper tips for anger management in children can help a lot in your parenting, as anger has a tendency to mobilize a response to danger, and can also be a form of self-expression. Greek boy names have a very rich history. Many are based on Greek mythology. We offer a great list of Greek boy names to set your son apart from the rest. As parents, you should know all the good manners for kids and teach them to manner properly. We discuss basic everyday manners kids should know. Maintaining a joint custody schedule surely seems daunting as well as challenging after the end of your marriage. In this article, we’d like to provide some sample schedules and tips to help you work it through. 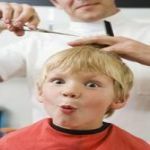 In this article, you can find step-by-step guides about how to trim or cut and style your child’s hair at home. The techniques explained are easy as well as economical.